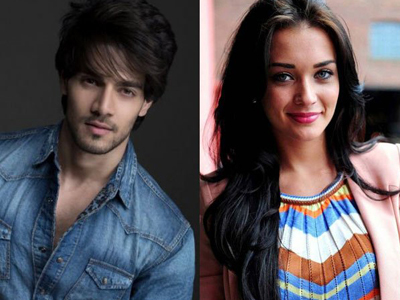 Is Sooraj Pancholi dating Amy Jackson? Sooraj Pancholi is one of the popular debutants of the year, and the Hero actor is going great guns professionally, as the director duo Abbas-Mustan are planning to rope him for the next film, while Sooraj will also be seen in a music video with Jacqueline Fernandez. is also in a new relationship. The actor is allegedly dating 'Singh Is Bling' actress Amy Jackson, as per the buzz in the Bollywood. Amy is said to have invited Sooraj Pancholi for a special screening of her SIB movie, and the duo later spent time together. Amy Jackson has also recently shifted to a new apartment, which is close to Pancholi's house in Bandra. Will the duo announce their relationship or keep it a secret for sometime. Apparently, the duo had dark pasts. Pancholi has dated Jiah Khan, who committed suicide later taking an extreme step, while Amy was in relationship with her former co-star Prateik Babbar but had later parted ways.